Music groups, singing and fun for babies, toddlers and pre-school children with their parents and carers in Brighton and Hove! 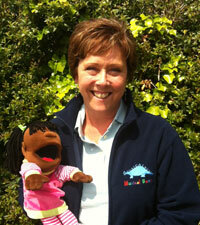 Our work in local nurseries and schools! ….to Musical Bumps in Brighton and Hove! I’m delighted to be part of the Musical Bumps team. Come and join us for lots of great music-making down here on the south coast. During my time working in a Sure Start Children and Family Centre, I was lucky to meet up with Sarah Marsh, who was delivering some music training to support speech and language. Sarah told me a bit about Musical Bumps then and it fired my ambition to set up my own classes! I have always worked with children and families – supporting children with special needs in a primary school, volunteering with the girl guides and helping out at a local theatre group – so I’m thrilled to be combining this with my love of music; it’s my dream job – and I haven’t looked back! 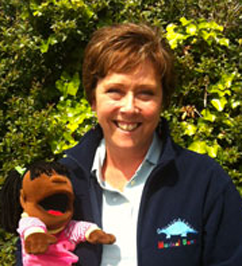 As well as teaching classes, I also work with Children & Family Centres, Preschools and Nursery schools. The songs have definitely helped my son with his speech. A real gem of a class! My daughter has gained in confidence since coming to classes. ….a relaxed but fun learning environment. You can phone us on 07582 256957 or complete this form to book your free trial class. Musical Bumps Brighton and Hove can create a bespoke programme of learning for your school or nursery’s specific needs. From one-off workshops or parties, clubs and choirs right through to a full music curriculum for EYFS and KS1, you can rely on Musical Bumps to provide stimulating, ambitious, practical and musical classes and clubs! We are delighted to be working at the following lovely settings delivering music sessions to their babies, toddlers and preschool children. Singing Saturday is a drop in session suitable for 0-5 year olds and their grown ups, new families are always welcome! There’s no ongoing commitment, just get in touch for more information and to reserve a space! They take place at 10.30 am at the Hanover Centre, 33 Southover Street, Brighton, BN2 9UD. Car park next to Vantage Point building. Entrance at the front of the building. Press buzzer for upstairs hall. Access down the slope, left side of the building, go to black door on the right (named Maccabi). Press the intercom for Youth Lounge to gain entrance. No parking on site but the venue is close to Hove train station and on the main bus route. On street parking available.